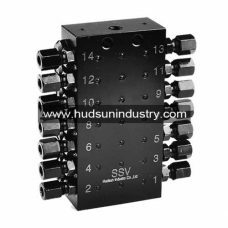 Series progressive divider valve is also named as progressive metering device with piston type movement design, is much reliable operation for grease lubricating with exact grease volume feeding to each lubrication requirement point. 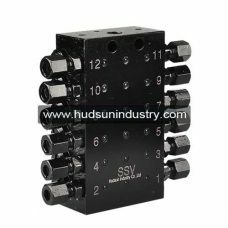 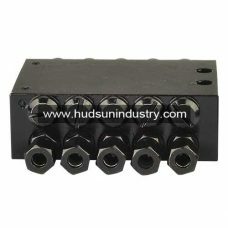 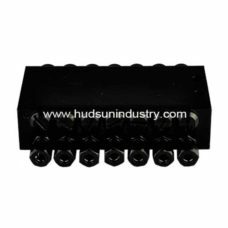 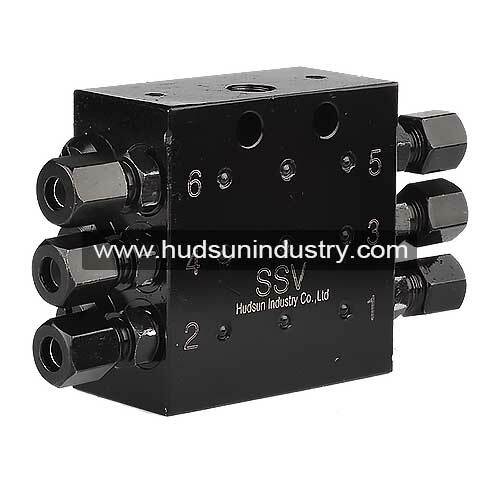 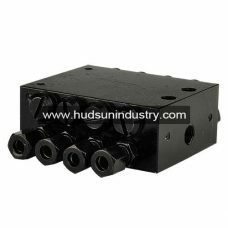 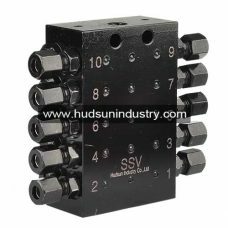 Series progressive divider valve SSV6 is manufactured by high carbon steel for the working pressure 35Mpa(5075PSI) with 6 grease feeding ports. 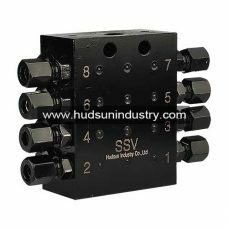 The SSV6 series progressive divider valve is mounted in central progressive lubrication system with lubrication pump used for injecting lubrication grease to bearings, gears and certain easily-worn parts. 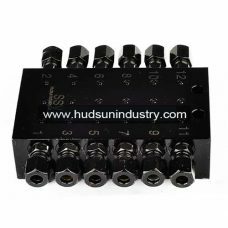 All of the series progressive divider are equipped with check valves in order to closed certain unclosed outlets, there are many chambers inside the SSV6 progressive divider, so that unauthorized changes insider the divider is not allowed. 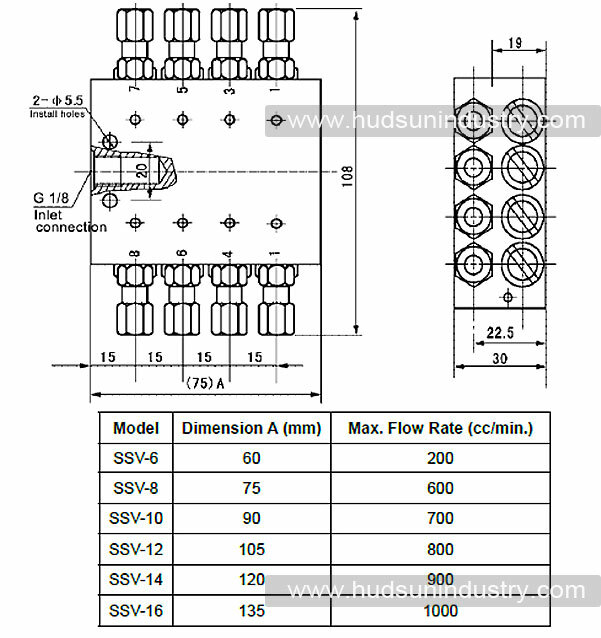 Our original spare parts for SSV6 are coupling nuts, ferrules, check valves and outlet closure plug, please contact us if need spare parts for SSV6 replacement.